The TapeTech Outside Corner Roller firmly embeds paper-faced corner bead on external drywall corners and removes the excess joint compound from beneath it. 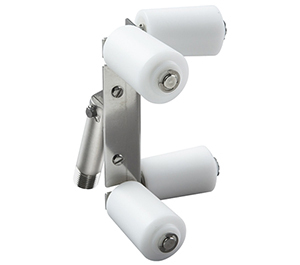 The nylon rollers provide a smooth surface to prevent damage to the corner bead. Fiberglass handle (HR) and extendable handle (HRRE) are available separately.